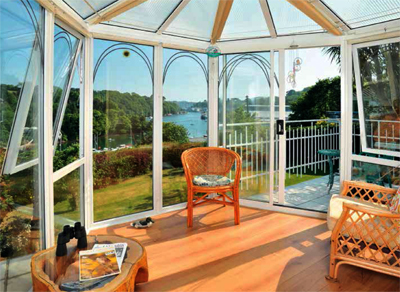 Roselaw is a country house in a wonderful position overlooking the River Fowey in Cornwall with direct water access. The property offers flexible accommodation comprising entrance hall, kitchen/dining room, conservatory, sitting room, master bedroom suite and two further bedrooms on the first floor, plus a study/bedroom four. A separate two-bedroom apartment on the lower ground floor which has been a holiday let in the past, or would serve well as a granny flat or guest accommodation. The house is surrounded by pretty gardens and has a detached garage with lots of storage. 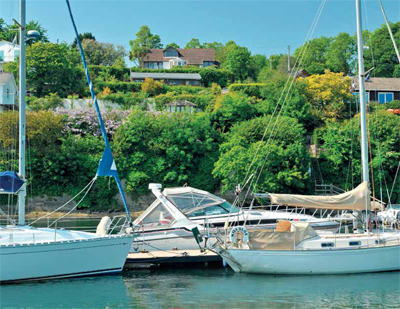 The owner of the house also acquires a licence for running a mooring and pontoon. Roselaw lies in the hamlet of Mixtow on the east bank of the Fower River, just a quarter of a mile from Fowey by boat and just over a mile by car. Fowey itself is a terrific base from which to explore the channel islands and the harbours and creeks of the west country. The guide price is £595,000. For further information please contact Knight Frank on 01392 848 842 or visit www.knightfrank.co.uk.